Bowie’s New single is called Where Are We Now? David Bowie has announced today (his 66th birthday) that he is releasing a new single entitled, Where Are We Now?, and a new album on 11th March called The Next Day. The single is available now on iTunes. Where Are We Now? is a gorgeous, atmospheric tune and produced by Tony Visconti, producer of many Bowie classics. You can hear the single at DavidBowie.com or on the link here. The thoughtful and odd video features a two headed teddy bear with Bowie’s face(!) and looks like it was filmed in Berlin. Bowie, Berlin, great new single, album on the way….it doesn’t get much better than this! Not only is this the first thing Bowie has done in nearly a decade, after what many (including myself) believed was an example of a great man enjoying his retirement, it is actually very very good indeed. What a start to 2013! 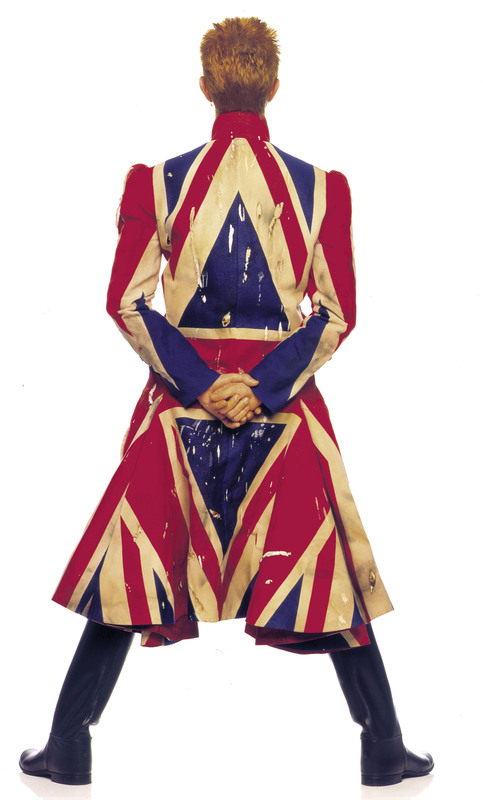 We also have the David Bowie Is exhibition at the V&A museum starting on 23rd March: my ticket is booked. Cool! Sounds like a good start to the year. Not bad for 2nd week of January. New Deep Purple teaser was released today too! Thank you for sharing this fantastic news! Great news..but the song is a bit of a downer. I guess I can listen to it when I’m having trouble falling asleep. I have to say I prefer Bowie’s guitar driven songs more than the piano ones. But he IS 66 years old, so I can understand he’s mellowing out a bit with age. What’s good about having a new Bowie song is that I thought there wouldn’t be any more. I thought he had decided to retire. And that would have been okay – I mean, how many Bowie albums do you need? He has already produced far more great albums than most… And then for the song to be as good as this one? Happy days. True…any Bowie is good Bowie in my book. Heard it on XfM yesterday. I liked it – it suited a man of 66 somehow to make it ( and suited a man of 51 to listen to it!!!). Some of the bright young indie thing listeners on XfM texted in to give it a bit of a pasting – but that just proves the old adage that youth is wasted on the young!!!! On first listen I found the song a bit dull and miserable and the video a bit depressing. I say that as a massive fan of Bowie. And because of that I shall certainly give it another chance. Quite a few people have said something similar. I rather like it’s tone…very reflective. i love his new song…there’s an elegance about the writing…and i like how he is right where he should be at this time in his life,while others try to look like they’re younger than what they really are…you can hear his voice is a little different now..older…he’s using it truthfully. Nicely put – couldn’t agree more. I was thrilled to see this on the news. I was fortunate enough (as I’m sure I’ve already told you) to see Bowie in 2003 on his ‘Reality’ tour. He is just superb. I am so, so pleased he’s back and sharing his fabulous talent! Can’t wait to hear the album. As I told my big bro, for me, it’s like an early wedding present (ha ha, if only! ).